There are many definitions of aggression circulating in the science on dogs and which suggest that there are many causes, but in reality, no matter the context or its object, all incidents of aggression have the same cause, fear. Thus we can defineAggression as “Blocked Attraction.” This block is fear. Fear can be acquired through the experience of pain and emotional trauma but also through a slow, steady build up of a daily anxiety from seemingly innocuously sources, for example, excess stimulation. This unused energy is converted into a generic kind of fear and stored in an “emotional battery” as stress. Dogs respond differently to stress based on their genetic predispositions and this is whyaggression in its varied forms appears to have a myriad of causes when this is not the case. The adaptive purpose that fear serves, in addition to avoiding potential danger, is to add intensity to behavior. 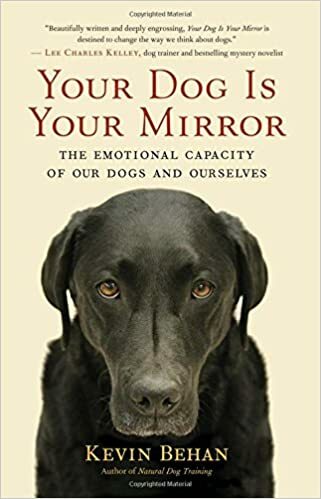 Thus, if the intensity builds to a level that surpasses the dog’s capacity to feel attracted to its owner, the dog feels blocked and acts problematically. It’s not accurate to say that a dog turns or snaps, or is acting out of a chemical imbalance. All of these phenomena are the result of intensity reaching an overwhelming proportion in the dog’s emotional system. These sudden purges are why aggressive dogs are often characterized as having “turned,” snapped, or possessed of a Jekyll and Hyde personality as well as why historically “friendly” dogs who have never known any overt trauma or aggressive disposition can suddenly act aggressively as if the episode came out of the blue. It didn’t. It had been building for a long time because the emotional connection to the owner wasn’t strong enough to “ground” out all that fear. The dog was becoming more and more intense in personality displays, or fixations on certain activities, until these displacement activities could no longer drain the emotional battery, hence the sudden discharge. The problem is not that your dog isn’t “smart” or doesn’t know how to heel, sit, down and stay; the problem isn’t that your dog is anti-social or a canine psychopath, and the problem isn’t that you haven’t given your dog enough exercise or haven’t been consistent, positive, or dominant enough. The problem is that due to the compounding effect of fear, your dog is becoming more and more intense, no longer as playful and easy going as he used to be. This process of intensification has been underway despite any of the things you have been doing in the hopes of calming or controlling the dog, and as a matter of fact many of the things commonly prescribed to help, more exercise, lots of ball playing, more attention, more jobs to do, make the dog even more intense. Superficial definitions of aggression(territoriality, dominance, possessiveness) fail to address the root cause of the syndrome. The real problem is that when your dog reaches a certain level of intensity, his fight/flight reflex takes over and the truth is, nobody’s home. That’s not your dog in that body and mind that is lunging, snarling, and/or in general freaking out. Your dog’s body and mind has been overwhelmed by a charge of intensity that is as old as evolution. When a dog is overwhelmed with intensity, he can’t feel a thing. Such a condition is adaptive for wild animals living in a static environment as it facilitates survival, but it is always maladaptive for a dog living in our domestic world of incessant change and our arbitrary comings and goings. 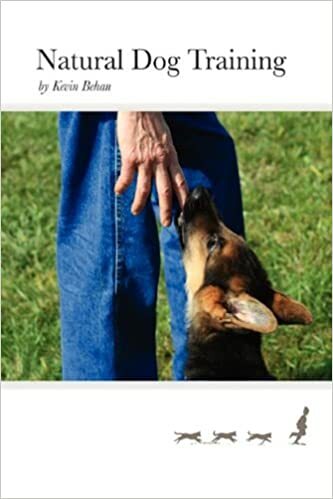 When a dog is overwhelmed with “the charge,” he can’t feel that the dog it is attacking is a fellow dog, or that the hand it is biting belongs to its owner or to an innocent, vulnerable child. The answer is to increase a dog’s emotional capacity so that he can process stress differently. The goal is not to change the dog, but to change how the dog responds to stress. And the good news in this regard is that the emotional battery and stress evolved in service to a cooperative dynamic. Resolving stress through synchronized group activity (which is why dogs love to ride in cars) is how dogs learn to work together as a coordinated group, it’s why we can even train dogs to do police service, therapy functions, search and rescue, arson, drug, cadaver, contraband detection, and my favorite example, herd sheep rather than kill them. When a dog’s emotional capacity is increased then when he becomes charged, he is still able to feel. He can still feel its owner and therefore can still listen to his owner. He can still feel that the dog before him is a dog of the present, not an ogre from its past. If a dog can feel, it can adapt. It’s that simple. Get in touch if you would like to discuss training options and talk about healing your dog’s aggression once and for all. We offer obedience training and specialize in rehabilitating aggressive dogs. Call 1 (802) 365-7913 for a telephone consultation or click here to email us.